If Donald Trump is having a trade war with China, word has yet to reach Louisiana. At the same time the Trump administration is calling China “an economic enemy” and their business practices a threat to “the economic and national security of the U.S.,” Louisiana Gov. John Bel Edwards (D) has identified the People’s Republic as his state’s “primary foreign direct investment” partner. Louisiana recently announced a $1.12 billion investment in a new chemical plant being made by the Chinese company, Wanhua. It’s the second-largest such deal the state’s ever signed, behind Yuhuang Chemical’s $1.85 billion methanol complex in St. James Parish in 2015. That’s three billion dollars in foreign direct investment (FDI) from those two projects alone. Under the leadership of Gov. Edwards and his Republican predecessor Bobby Jindal, the Bayou State is now the third-largest recipient of Chinese foreign direct investment in the U.S.
“With our efforts and people’s support, the partnership between China and Louisiana will be strong and growing,” Edwards said. What’s growing in Washington is concern. Not just concern over the economic impacts of what President Trump and his key trade adviser Peter Navarro believe is an unfair trade imbalance, but also the national security threats from business practices the Chinese government and its allied businesses are using to steal U.S. technology, advance in sensitive areas, and wield undue influence in the global marketplace. And the Trump administration certainly doesn’t want Louisiana taxpayers subsidizing the Chinese to do it. 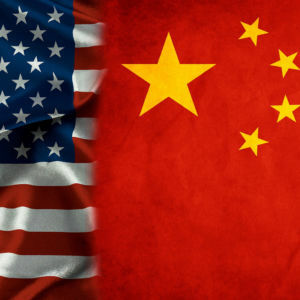 China aggressively seeks to acquire American technology and intellectual property through multiple vectors including: physical and cyber theft, forced technology transfers, evading United States export controls, export restraints on raw materials, and investments in more than 600 high-technology assets in the United States worth close to $20 billion. A chemical plant doesn’t sound like the setting of a James Bond movie, but currently China lacks the technology and expertise to make more advanced chemicals like those slated to be produced at their new Louisiana plant. “International companies are strongly placed to meet China’s growing appetite for specialty chemicals…an appetite being driven by rising standards of living and increasing demand for consumer products from household goods to cars, all of which require specialty chemicals in their production,” the report states. From AI to robotics to high-end chemical manufacturing, China uses its business partnerships to steal technology and expertise, which is one of the reasons the Trump administration has announced its $60 billion in tariffs on Chinese goods and restrictions on Chinese investments in the U.S.
Interestingly, the resolution also calls for the “state treasurer to certify that no public funds have been used to support commercial activities, including investments, by companies” owned in whole or in part by communist governments. That’s a good question because there are millions of dollars in state-funded benefits going to Wanhua, including $4.3 million in direct cash benefits and millions more over a decade of tax exemptions. This taxpayer largesse isn’t just going to a big business. It’s going to a big business that’s partially owned by the government of China—aka the Communist Party. Shares of Wanhua are controlled by China’s State-owned Assets Supervision and Administration Commission of the State Council (SASAC) which is a branch of the Chinese government. Every tax dollar of benefits to Wanhua Chemical is a dollar that, at some level, benefits the Chinese Communist Party. And just in case you miss the connection, the Wanhua website describes the head of the company, Zengtai Liao, as “President and Party Secretary.” That doesn’t mean he likes to organize birthday celebrations. And with the help of the taxpayers of Louisiana, they’re well on their way.